This article was originally commissioned and published by the Association of Nature and Forest Therapy Guides and Programs, and has been republished with permission. Recent research shows that there is more to the life of plants than we ever imagined and knew before. Intimate communications among them, sensory perception, and energetic responses are some of the new characteristics we have discovered when it comes to the plant world. What do these new personality traits mean for inter-species relationships between humans and plants? How can we utilize these new understandings to dive deeper into connection and relationship with our photo-synthesizing neighbors? In this week’s blog piece, Daniel Burge explores intimate communication and fellowship with plants in the surrounding lands of his home in Ireland. He tells of profound messages, longing, and a deep love which only a flower could evoke. May this piece inspire you to explore personal relationship and contact with the plant kingdom around your own home. Perhaps they have a message for you which you need to hear. I read this morning that 1,700 new plant species were discovered last year. The ‘State of the World’s Plants’ report, led by scientists at the Royal Botanical Garden Kew, has also listed 28,000 plants as having recognised medicinal uses. Western medicine still attempts to heal by exclusion or opposition, creating ever more ‘anti’ drugs – the antibiotics, antidepressants, anti-inflammatories and antivirals for example. In this inclusive world where everything belongs, this attitude can only fail, and we are witnessing this as humanity once again turns back to nature for original, natural and exceptionally powerful medicine. The medicine of the plants is a real medicine, one of wholeness and encounter, and although scientists still attempt to isolate the ‘active’ components of plants to treat disease, it is only when a plant is fully intact, can its delicate and yet formidable web of intelligence work directly upon us. Would you like to experience this potent medicine? To meet directly with the wonderful plants? To taste, feel and dance with their living medicine, as a communion of perfect aliveness in which everything is realised as one? Nature is wild, so wild it can take over. And it always takes over. It also has a presence that is as permanent as it’s seasons; plants and flowers are momentary passings. If grace unlocks the door, and you open to the wildness, it will take over and assimilate you as well. If any disbelief that you have about this can stop, even for just a moment, you may enter a wild and majestic world and see the truth of what I am sharing for yourself. It isn’t called the Plant Kingdom for nothing. As the ideas of being separate dissolve and you leave what the intellect knows behind, you may be left in awe and wonder at the indivisibility of all things: That you can communicate with nature, and that nature will communicate with you. You are currently appearing in much the same way as a wave comes out of the ocean or a leaf grows into the world; the difference being that you think you’re divided from what is all around. All we need to do to be in direct communion with nature is to suspend our disbelief that we are not already in communion. It has been said that the only reason that someone isn’t happy is that they believe they aren’t already happy. Believing that happiness must look a certain way, this imaginary solution to the problem prevents experiencing happiness. The solution becomes the problem. So come with me, into the forest and we shall simply leave the problem behind. The plants are the sensitive ones- deeply feeling and sensing, highly intelligent and ready for relationship. If you are ready, you can reach out and meet them, and they will teach you the ways of the heart. The plants are always harmonizing and balancing the environment. If you commune with them, they will bring you home to your natural, resonant, responsive and wild self. A plant’s awareness is so advanced that they know when you are coming, and they will already have adjusted their phytochemistry so that when you meet, they will have already customized their medicine just for you. So enter the safety of the forest, feel with your heart, trust your sensations, and commune with the medicine of awareness as you notice your walking and movements just happening. If you listen and respond to the plants, they will speak to you. Don’t be afraid of the wild. It’s the wild that makes you alive. Walking further into the forest, something will start calling- calling to you with an invitation to meet. Follow your feet. You may be struck by disbelief. Keep going. It started with bluebells. We met in an ancient wood where I live- deep in the forest near a lake shore in the west of Ireland. Their magical floating carpet calling me in with intoxicating iridescence. Stunning me with extraordinary beauty; standing on the edge of everything, I felt a shift as I humbly asked their permission, granting me the entrance to their realm. Bowing to their collective presence, I climbed up and onto the grassy bank. There was no going back. Moving slowly, following my body until the forest floor found me. I laid down, gradually nestling into the earth. I am now on their level, they are standing tall and flowering down, I am aware, and aware of their awareness of me. Flowers caressing my face, I turn my head to one side and want to connect as intimately as I know how, I open my mouth and let a few of the flowers drop inside, where they rest on my tongue. And I wait in anticipation. I drop, deep into the ground, all holding on just drains away. My longing has been answered, and the yearning to hear nature speak directly to me is real. As clear as a bell. A bluebell. Tasting the nectar of the forest and breathing in the shimmering light, I go home, stunned and in awe, to return the next day. “You think you need something to reach the next step. You don’t”. I instantly realize that I have everything I ever needed. And there was nothing left to say or do. The next day, all was quiet. Every time I passed in the week, I never felt or heard a calling to enter. And two days later, while in my clinic and as I sat in wonder, I went through a spontaneous, deep healing process. 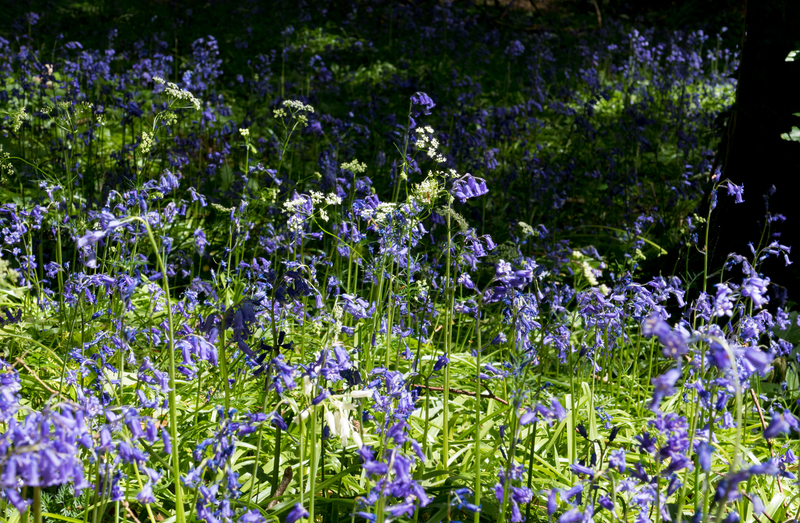 The Victorians said to be careful to not fall asleep in a field of bluebells, as you might wake up mad. I had awoken, and I could hear voices, but I wasn’t mad. I had become wildly sane. The medicine of bluebell helps us to look inwards to find our true feelings and communicate with others, to simply be and to listen to our hearts. They help us to find the inner space and stillness to listen to our feelings and to belong. A year passed and I waited for my beloved bluebells to return, which they did, but they came in silence. I felt them teaching me to know completion and to not linger on the past, however wondrous it had been. The bluebells became dormant but I felt like I was being watched, and a new silent calling awaited me. Magnificent green spears appearing everywhere adorned with purple cocooning slippers. Although I didn’t know their name, I knew what they were, walking amongst them and bathing in their unconditional welcoming. The magnificent Purple Foxglove, Digitalis Purpurea. I experienced overwhelming feelings of falling into love. Standing in the kitchen one evening, my was heart aching. Overwhelmed with emotions, I apologized to my partner that I was sorry but I couldn’t stay- that I had to go back to the forest, to be with the foxgloves. The feeling was so strong and dinner was almost on the table, yet I couldn’t describe what I was feeling. She looked at me and said it was Ok and that I should go, as I was having a love affair. She was right. Foxglove medicine seduced me to the core. Intoxicated by pure love, pouring through my heart, foxglove really does go straight into the heart, healing emotional turmoil as it harmonizes. Foxglove is used for helping with grief concerning the father, when traumatized by their death or loss. They are clinically proven to treat congestive heart failure (CHF) and heart rhythm problems (atrial arrhythmias). 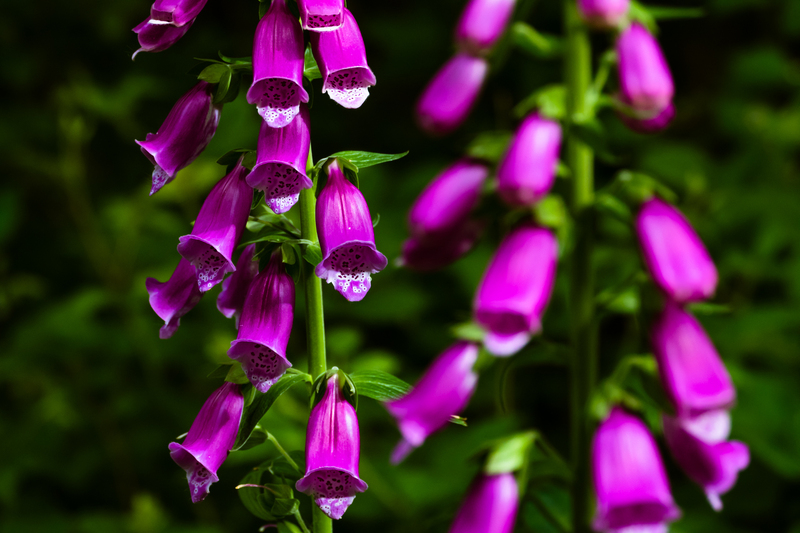 A potent cardiotonic, physicians use foxglove to strengthen the force of the heartbeat. 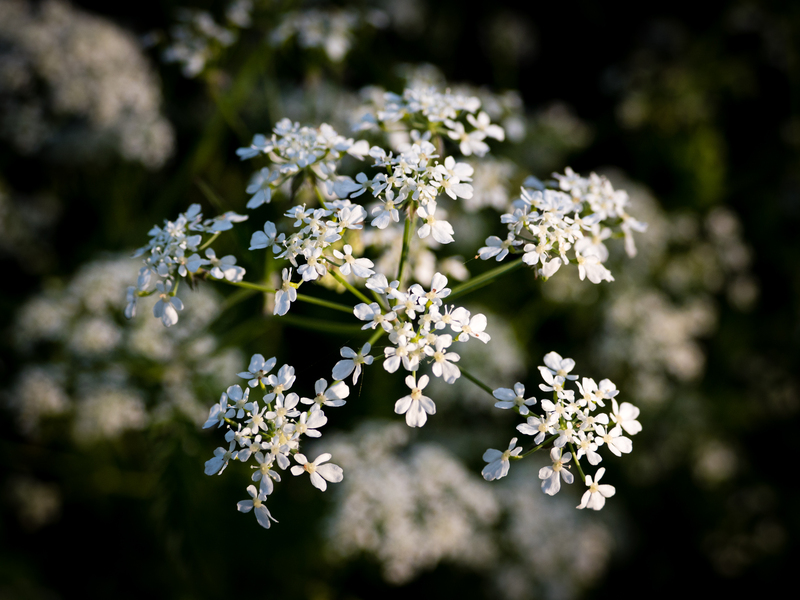 It contains molecules called glycosides that stimulate heart cells. I am in the very same woods as I write this, sitting amongst the cow parsley that is now growing where the bluebells were just a week ago. Their delicate snowflakes suspended in space, flowers of lace extending beyond physical form into a knowing field that soothes away anxieties that were below my conscious awareness until I felt them disperse into the air, dissolving the stress of the day. You are more connected than your intellect can ever realize. Concepts such as systemic consciousness, and interrelatedness are as close as the mind can get to this. There is nothing that separates you from the natural world, as you are part of an indivisible edgelessness that is beyond anything that the thought stream that you refer to as your mind could ever comprehend. Why would you want to stop a river? What makes you believe that the space between thoughts is silent? Where are the dividing lines between ‘things’? Even ideas such as ‘being in the moment’ just reinforce the idea that there is a moment and a separate you that could be in it. No wonder it never really worked. Reality is so much simpler. Meeting the plant kingdom is just like meeting your best friends. It doesn’t matter if you are shy. You may be fearful that it won’t happen to you in the same way it does to me or to anyone else. No matter. This is a personal journey for you of trust and love. All that matters is that you show up. And if you do, the plants will meet you, and your life, most radically and for the better, will never be the same again. You may just realize one day, or even this very moment, the spaces and splits that appear around us and inside us were only ever imaginary divisions, and that nothing has ever needed re-integrating. We yearn so to bridge by reaching out and seeking connection. Separateness is just an illusion, and that we and everything else is perfect just as it is. Daniel Burge is a family constellations facilitator and systemic homeopath, specializing in adoption, identity and early trauma.